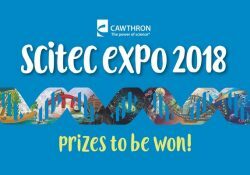 Come and view our youngest innovators’ science and technology projects. This year sees students in years 9 – 13 seeking to impress the judges and you will be amazed at the local talent! All entries will be on public display from 9am until 5pm on 26th September at the Trafalgar Centre. 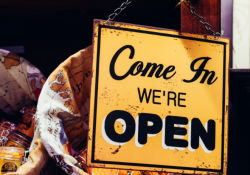 NO NEED TO REGISTER – entry is free and there is no limit on numbers. 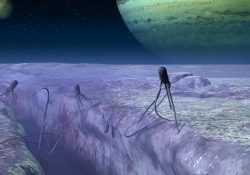 Emily will tour the solar system to inform the audience about the variety of different science missions actively exploring our solar system right now, with emphasis on the scientific motivations for their exploration (our origins and the search for life), with lots and lots of pretty pictures. She will share some of the the recent scientific discoveries made. The talk will include some of the latest images from the current missions. Emily Lakdawalla is an internationally admired science communicator and educator, passionate about advancing public understanding of space and sharing the wonder of scientific discovery. Emily came to The Planetary Society in 2001 to oversee a portion of the Society’s Red Rover Goes to Mars project, an education and public outreach program on the Mars Exploration Rover mission funded by LEGO. She ran worldwide contests that selected and trained high school students to travel to Pasadena to participate in rover operations training exercises in 2002 and then in actual Mars Exploration Rover mission operations during January and February of 2005. She was awarded the 2011 Jonathan Eberhart Planetary Sciences Journalism Award from the Division for Planetary Sciences of the American Astronomical Society for her blog entry about the Phoebe ring of Saturn. Asteroid 274860 was formally named “Emilylakdawalla” by the International Astronomical Union on July 12, 2014. She received an honorary doctorate from The Open University in 2017 in recognition of her contributions in communicating space science to the public. This is a free public lecture on behalf of Astronz, in association with the Canterbury Astronomical Society and the University of Canterbury. University of Canterbury, C1 Lecture Theatre – Arts Road, Ilam, Christchurch. Free. Admission by ticket only. Book here. Events listed by DOC or Eventfinda. This Conservation Week, nature is asking for your help. DOC. 15/09/2018. 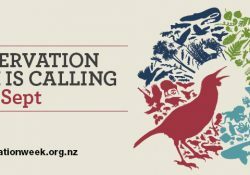 Te Wiki Tiaki Ao Turoa/Conservation Week call to action for nature. NZ Conservation Minister Eugenie Sage on 15 September 2018. We’re thrilled to be having our first meetup on Tuesday 25th September 2018 at 6pm. We’ll start with wine, nibbles and networking from 6:00pm and then begin our panel discussions at 7:00pm, with the evening wrapping up by 8:30pm so you can be home for a late dinner. Please feel free to bring along any friends or colleagues who you think would enjoy the evening. Please do let us know if you’re able to attend so we can organise catering. 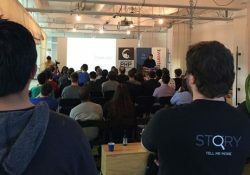 The Auckland Women’s Engineering Meetup is a group where women in Engineering (and those who wish to explore the industry) can connect and share experiences. Come and join us as we share our stories; how we got into Engineering, our journeys as professional Engineers, challenges that we’ve faced and overcome and celebration of our successes! 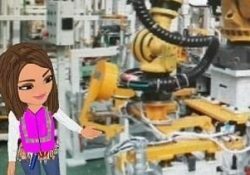 We want to learn about current goings on within the industry, new initiatives and opportunities to help develop not only the skills of Women Engineers in Auckland but to help raise the profile of Engineering as a career for new Women Engineers of all ages. 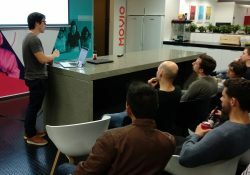 GO AKL is a Auckland based meetup group for anyone interested in Go programming language. We will try to organise regular meetups with talks by members and guests. Depending on interest we can also consider organising Go hacking sessions. This month we will be having one speaker followed by a ‘fishbowl conversation’. Dmitry will be speaking to us about ‘running things in Go’ – lessons and advice for running Go apps in production. Fishbowls are a fun format to conduct a group conversation, and you’re welcome to participate or spectate as you feel. Both these topics are hotly debated in the Go world, and this feels like an interesting time to discuss each one. We’ll vote on a topic and see how far it takes us – we don’t necessarily have to cover both. This will be our first meetup with this kind of format – naturally we’ll keep things friendly and inclusive, and agree on some ground rules to ensure that everyone feels comfortable. In the meantime feel free to connect via the Gophers slack community, on the #auckland channel (sign up via https://invite.slack.golangbridge.org/ ).